An access control system is the most important aspect of a security setup, whether in the company/business setting or, to a lesser degree, in homes. After all if only authorized people can enter physical as well as computer network areas, then there is little chance of any unpleasant incidents happening. Thus an access control system is the first line of defense in any security set-up. There are two aspects to access control: physical access and access to sensitive data on a computer network. 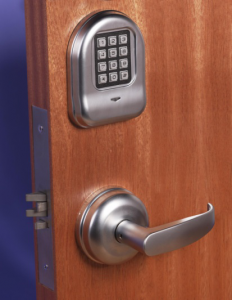 Control of both physical and data access are essential to securing a company’s operations. This article on the campus safety magazine online discusses future access control trends. It seems like not a day passes without us reading about incidents of data breaches, hacks, and leaks of some sort or the other. To counter this threat, many companies have instituted security measures to protect their valuable data. The more important or sensitive the data, the more robust the security measures and access restrictions are. But the golden rule for limiting access is always the same – based solely on need. People are not normally granted permission to access data they have no official business digging into, no matter how seemingly insignificant the information may be. Data mining techniques have evolved so much that industrial spies are able to squeeze sensitive information from little bits of data. Access limits may be imposed on network sectors, data types, or even down to particular documents and files. To protect sensitive information, authorized people are issued access passwords. In some cases biometric and ID scanners are used to provide an employee’s data access permissions. The ID cards containing access permissions may use different types of technology such as magnetic strip or RFID. All of your data security efforts would prove useless without effective physical access control; you can just imagine what would happen to your precious data if anybody can just waltz into your office and steal your computer. The thieves or industrial spies will have all the time in the world to break passwords to access all of your sensitive data! Limiting physical access begins with setting up perimeters and controlling points of entry. This involves containment walls, windows, sturdy doors and locks. When the perimeter is controlled, ID systems with access permission limits can be issued. In older systems employee ID’s are separate from cards controlling access permissions. Newer systems are able to integrate employee identification with the physical and sometimes even data access limits. These newer access control ID systems are usually programmable so that changes to access limits can easily be updated. Access may be limited as to time, day, sector, and department. The same “need basis” principle is used for granting permissions for physical access to the various areas within company premises. The adoption of this rule serves two important purposes: it limits access to sensitive areas, and it also reduces the chance employees can waste company-paid time.